VIII is a hyper-traditional, turn-based, high-fantasy RPG. If you've ever played a Dragon Warrior or Dragon Quest game, there's not much difference in the gameplay. One difference is that VIII is the first of the series to take place in a big, beautiful, open 3D environment. The genre won't appeal to everyone, but anyone can appreciate this game's aesthetic quality. Its bright, cel-shaded graphics give it lasting charm and appeal, and its orchestral soundtrack remains extremely impressive today. The best news for those who enjoy this whole package is that, depending on how you play, there are 60-150 hours of gameplay available. I'm not technically inclined or particularly good at reviews, so for that I recommend the Happy Console Gamer's review of the 3DS remake. There are differences, but Johnny Millenium's knowledge and love for the whole series really shows through in his video. 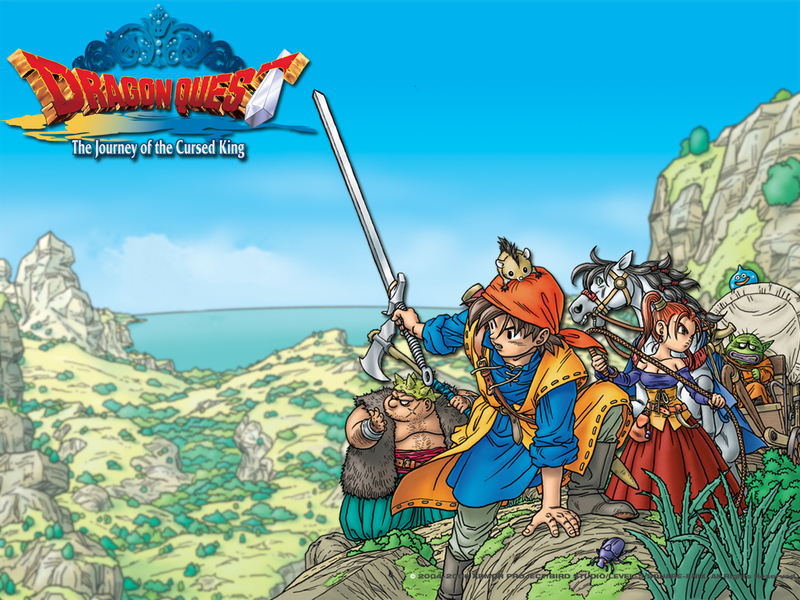 This game was the first in the series to use the official "Dragon Quest" title in North America instead of the "Dragon Warrior" name used previously due to copyright issues. Also, publisher Enix absorbed rival Square, best known for Final Fantasy and Kingdom Hearts, in 2003 to form the Square Enix we know today. 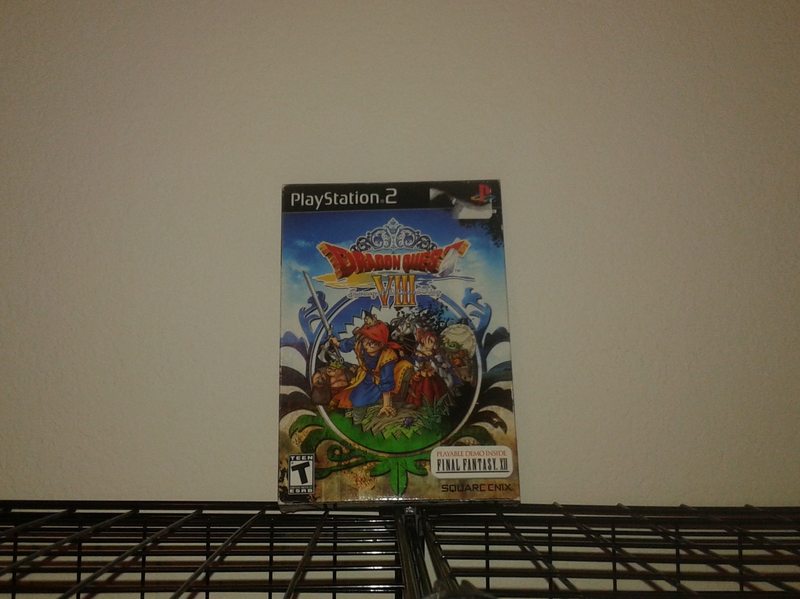 This game hit Japan in 2004 and North America in 2005 as the first in the series released after the merger. The game came with outer cardboard box large enough to hold not just the VIII disc and colorful, detailed manual (Does anyone else miss those? ), but also a Final Fantasy XII demo disc and manual. The inclusion of a highly anticipated Final Fantasy teaser may have been the reason many people bought VIII at all. I've always personally wondered if the merger didn't have at least a little influence on VIII itself. 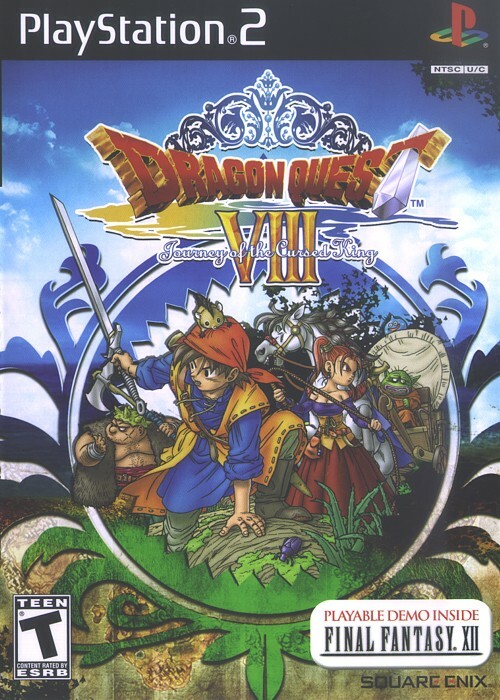 Dragon Quest VII (PlayStation) was technically underwhelming as a late-life release and felt closer to the series' fifth and sixth entries for the Super Famicom than a modern RPG. For comparison, Square's groundbreaking Final Fantasy X was released in Japan less than one year later. I've always wondered if VIII's polish was affected at all by the addition of square, though it's unlikely. The most important part of this game for me, though, is how I got it. For most of my childhood, my siblings and I shared an NES, and had an Atari and an Intellivision buried in a closet somewhere. Finally for Christmas in 2004 my younger brother and I received a (used) PlayStation 2 and a few used sports games. I fell in love with the console, but still had a limited selection of games until my birthday in November 2005. I got this new release (the first brand-new game I'd ever received) and a strategy guide from my parents. I always loved the series, but to this day I have no idea where they got the idea to buy this game. Thanks Mom and Dad! I still have my original copy, and I estimated I've spent nearly 1000 hours saving its world, fighting in its arena, and clearing the Dragovian Trials. This story's ending is as happy as the game's (but no spoilers here). VIII provides the perfect combination of quality, uniqueness and personal connection I want all over my Favorite Shelf. It's something I'll keep together as closely as any keepsake, and it's already inspiring ideas for the next entries. 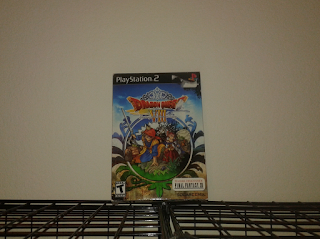 Welcome to my Favorite Shelf, Dragon Quest VIII: Journey of the Cursed King! Also, I even attempted a video on the topic. It's poor quality and goofy, but I admit I enjoyed making it.